Cruising toward the Lower 48, we woke up to an amazing sunrise in the Inland Passage. 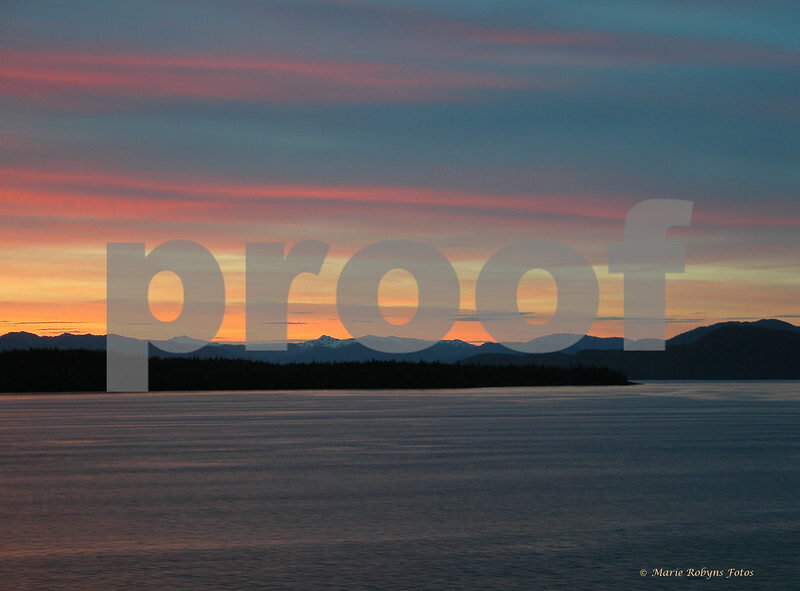 Alaska sunrise in the Inland Passage from a cruise ship after leaving Ketchikan. Photograph taken June 30, 2004.